Have you been looking for a deal on a gym membership? On Monday, 2/29, National Fitness Center is offering memberships for $29.95/month. This is the lowest monthly price I’ve ever seen for NFC! Visit their Facebook page here for more info. 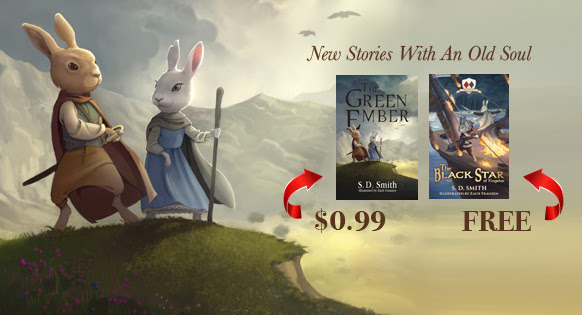 Get The Green Ember for $0.99 plus the prequel FREE! The Green Ember for Kindle. The Black Star of Kingston for Kindle. Disclosure: This site is an Amazon affiliate, and purchases made through Amazon links (including linked book covers) may result in my receiving a small commission (at no additional cost to you). Giveaway: win tickets to the Junior League’s 2016 Bag-A-Bargain rummage sale! UPDATE: Ticket winners are Stephanie K., Adrian J., Crystal, and Christine. Winners have been contacted. Have fun shopping! I am proud to be a Sustaining Member of the Junior League of Knoxville. I joined the Junior League in 2002, and have thoroughly enjoyed my League experience. My favorite event every year is Bag-A-Bargain, the giant rummage sale for which the League is famous. This will be the 30th year of Bag-A-Bargain! This year’s Bag-A-Bargain sale will take place on Saturday, March 5 from 8 a.m. to 1 p.m. at the Jacob Building in Chilhowee Park (near the Knoxville Zoo). If you’d like to see what I’ve written about the sale in past years, you can read all of those stories here, including highlights from setup shifts when I was serving as an active member. I’ve been a huge fan of Junior League sales ever since I furnished my first post-college apartment with items from the Junior League of Birmingham’s sale. Junior Leaguers know how to put together great rummage sales! Tickets to this amazing thrift sale are just $5, and you can get $1 off each ticket at the door by bringing a canned food item to donate, too. There’s also a coupon in the Knoxville Schools Coupon Book (but you can’t combine discounts). Tickets go on sale at 7 a.m. the day of the sale, doors open at 8 a.m., and be aware that people WILL line up to get in. There were even lines one year when it snowed. You can do each of the following things for an additional entry in the giveaway. You can only do each of these once, for a possible total of 5 entries. This giveaway ends Wednesday, February 24 at midnight EST. I will choose 4 winners via random.org and will post their names on Thursday, February 25. Giveaway open to US readers only. Disclosure: I received passes to this event plus additional passes from the Junior League of Knoxville to share with my readers. Tickets will be mailed out to winners at the addresses provided. I cannot be held responsible for any problems with postal delivery. All opinions stated in this post are my own. My friend Sarah just started a children’s clothing business called Hazel + Huck, featuring personalized (monogrammed/appliquéd) clothing and accessories. They are having their first show on March 4th and 5th for summer items. To spread the word, they are currently running a contest on their Facebook and Instagram pages for people to enter to win a free appliquéd shirt by liking, sharing, and tagging friends in one of their posts. For more info, visit the Hazel + Huck Facebook page here and/or the Instagram page here. We are big audiobook fans in my house, but until now I haven’t been able to bring myself to pay for an Audible subscription. I know it’s a better choice financially than buying books on CD, but we’ve made do with what we could find at the library. However, when I saw that Living Social had a deal where you could get 3 months of Audible for $9 I jumped on it! (That’s 3 audiobooks for that price – regularly $45!) Plus, right now you can use promo code shpp for an extra $1 off, making it just $8! Even if you cancel your membership after the 3 months, these audiobooks are yours to keep forever. Plus, Audible offers special discounted prices on other audiobooks, so this would be a great chance to build a collection! Go here to check out this Audible deal! 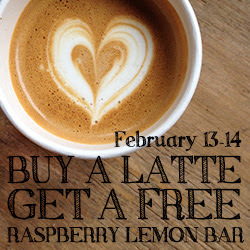 February 13 & 14, when you purchase a latte at the Vienna Coffeehouse in Maryville, you’ll receive a FREE raspberry lemon bar. I’ve had one of these at Vienna before, and they’re soooo good! 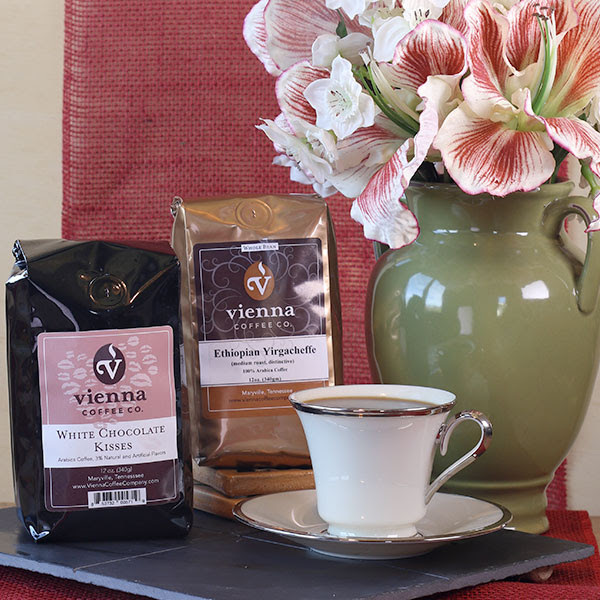 Also, tell your barista to “be my valentine,” and get $3 OFF a bag of White Chocolate Kisses or Ethiopian Yirgacheffe coffee at the Vienna Coffee House throughout the month of February. The Knoxville Opera will be performing Humperdinck’s Hansel & Gretel February 26 & 28. If you’d like to see it at a really deep discount, consider attending the student dress rehearsal on Wednesday, February 24 at 6:30 p.m. This full dress rehearsal is exactly the same as the regular performance (the show runs without stopping with full costumes/set) and is FREE for students and just $5 for accompanying adults (cash only, MUST be accompanying a student). You’ll enter the Tennessee Theatre through the Gay Street entrance beginning at 5:30 p.m. For more info on the student dress rehearsal, go here. A Delicious Gingerbread House! A Magical Forest! The beloved tale of two children whose goodness and faith triumph over an evil witch! Performed in English; this lavish production includes a 19-foot tall candied house, trees with blinking eyes, cuckoo birds, 14 angels, and a dancing witch. A sumptuous treat awaits young and old alike as the timeless fable is presented with magnificent music filled with folk tunes and romantic lyricism. If you’re not able to attend the student dress rehearsal, you can attend the Sunday, February 28 performance at 2:30 p.m., where you can get a student ticket for just $0.01 with purchase of an adult ticket at regular price. Just let them know you’re interested in the Penny4Arts discount (more info here). Advance reservations recommended. At the regular performances, all children are invited to take photos with the cast on the set after the final curtain. National Froyo Day 2016 – FREE Menchies! Today is National Froyo Day! Get 6 oz free at Menchies locations today! Details above.